The answer has to be that we do not know. And yet we all have an image in our minds of what we THINK he looks like. After all we have seen his picture everywhere since we first began to recognise faces. Jesus is the most recognised person in history despite the fact that we have no description of his appearance beyond a few general comments in the bible. Does it matter what we think he looks like? Of course it does. How we represent things in our mind has a powerful effect on how we respond to them. Perhaps the long hair and blue eyes of so many portraits of Jesus was a way of encouraging white Europeans to accept the christian message. If you can identify with him you are more likely to engage with him. the remarkable thing was that there was a high degree of convergence between one’s own type and the type that we assigned to him. Extroverts thought Jesus was an extrovert and introverts thought Jesus was an introvert and so on. It was a fascinating exercise because it revealed how readily we can construct a mental figure of people like Jesus in our own image. And the shocking conclusion of this is how easy it is, when we Christians worship Jesus, for us to worship ourselves or a projection of ourselves. 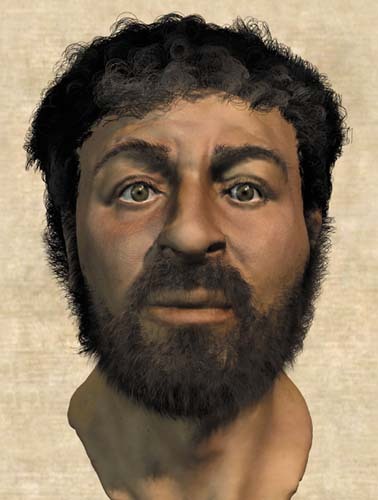 In 2002 Popular Mechanics published a feature article called The Real Face of Jesus in which they reported how “advances in science helped reveal the most famous face in history”. Richard Naeve, a medical artist, used his skill and his experience in forensic anthropology to construct a model that represented the typical face of a first century Jew. This, they thought, would shed light on the appearance of Jesus. We know that Jesus lived in the hot Mediterranean climate of Galilee, working hard with his hands. He would be muscular and physically fit. He would be around 5’1″ tall and would probably look older than his age because of the effects of the climate and his manual labour. Life expectancy at that time was 50 years for men. His complexion would be dark. His hair short, dark and wiry, and he would have a short beard. Here he is . . . a physical rendering of the likely appearance of Jesus. This looks like John the Baptist to me! I can see a passionate desert evangelist. But somehow I don’t recognise the personality of Jesus in the eyes. 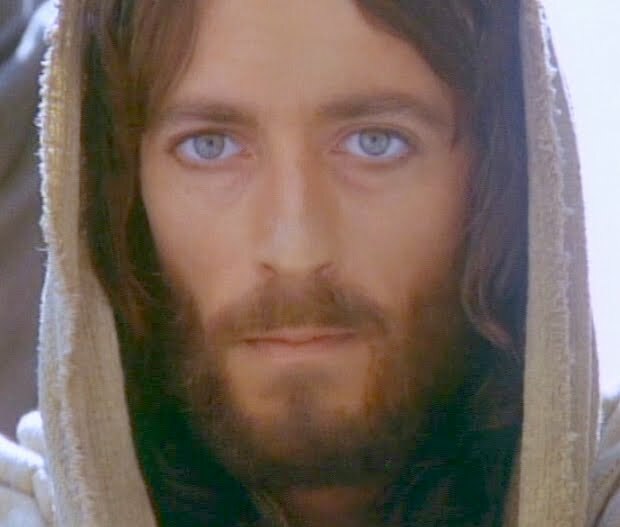 I think if we looked into Jesus’ eyes we would see an intensity that both attracted and challenged us. Life, light, grace and truth would shine in his eyes. I think we would feel challenged to change. This entry was posted in author of life, change, Jesus and tagged Christian, Christianity, Galilee, God, Jesus, Myers-Briggs Type Indicator, Thought for the Day. Bookmark the permalink.